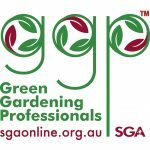 SGA’s Green Gardening Professionals (GGPs) program is a membership group for those working in the horticultural industry. 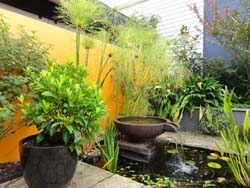 Learning more about sustainable gardening from a design and practice perspective. Keeping up to date with the latest sustainable industry developments. Building their general garden design and implementation skills. Catching up with people working in the same industry and with similar values. Sharing information and experiences regarding sustainable gardening practices. Our members are committed to contributing to a sustainable future through the world of gardening. They seek to understand the geology, climate, soils, plants and ecology. 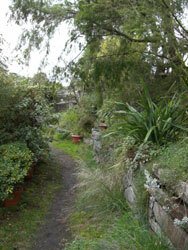 They combine this knowledge when designing, constructing and maintaining landscapes. Green Gardening Professionals differentiate themselves from conventional landscapers through the techniques and products used, striving to create and maintain gardens in an environmentally responsible way. To see the benefits of membership and to join the GGPs click here. Do you work in the garden industry and want to receive monthly email news about the GGPs? You can submit your details below.